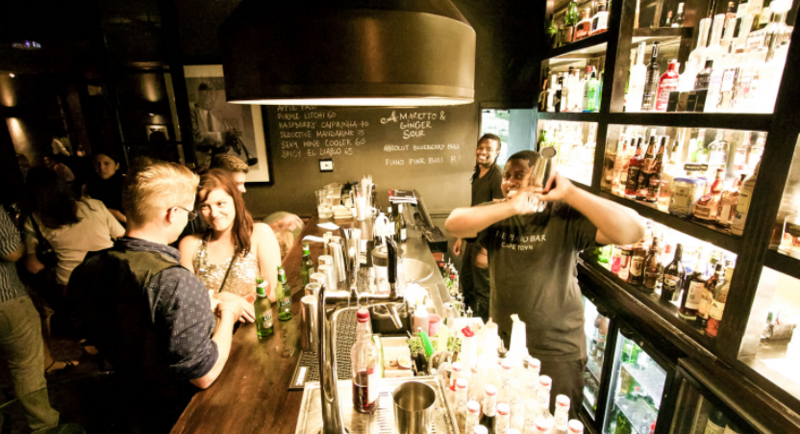 A trendy New York-inspired music revue bar and eatery with a strong African flavour. 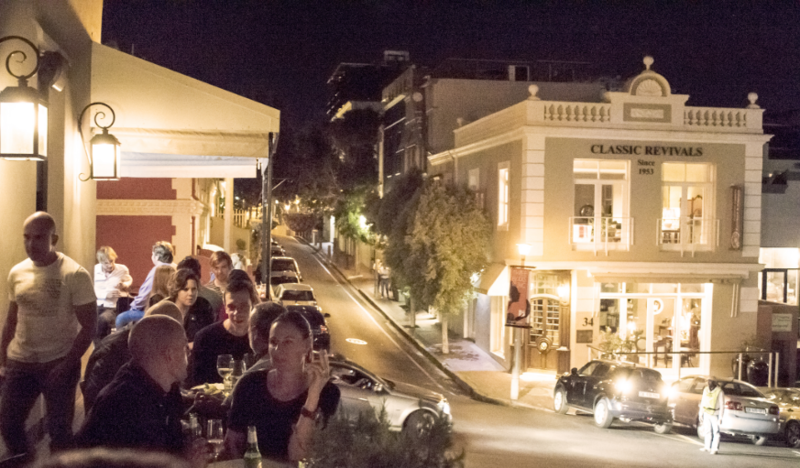 Located at the corner of Jarvis and Napier Streets …… our wraparound terrace enjoys views through De Waterkant village to Devil’s Peak as well as towards the bay. The ideal spot to chill out over an evening cocktail. 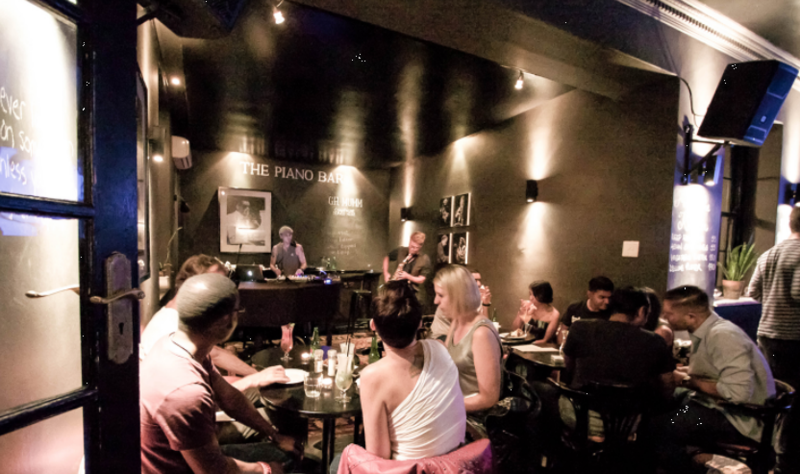 The Piano Bar prides itself in having a diverse wine collection which mirrors the relaxed yet discerning character of the venue, music and people. Wines have been carefully selected by Lieze Norval, a talented local winemaker and wine judge, together with The Piano Bar team, to have a connection to music where possible, and show characteristics that complement The Piano Bar’s style and food, and the owner’s Spanish-African roots. We also have a range of commercial and craft beers, as well as Darling Slow Brew on tap. 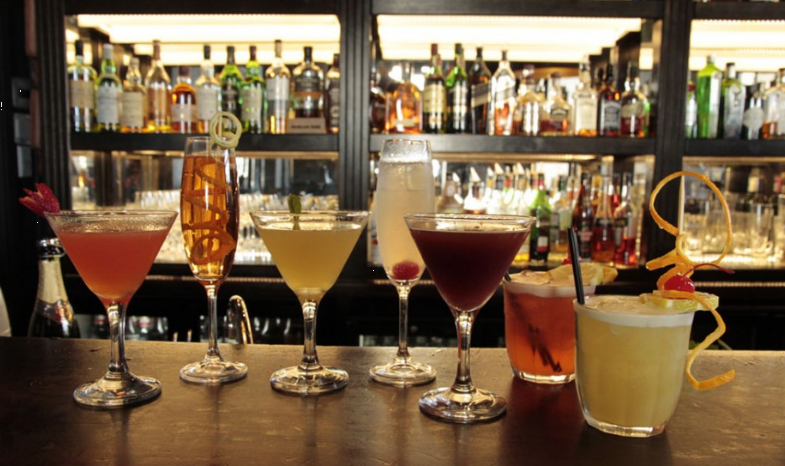 We offer a range of fine spirits, single malts and exotic liqueurs. Classic Cuban cigars available for your enjoyment. 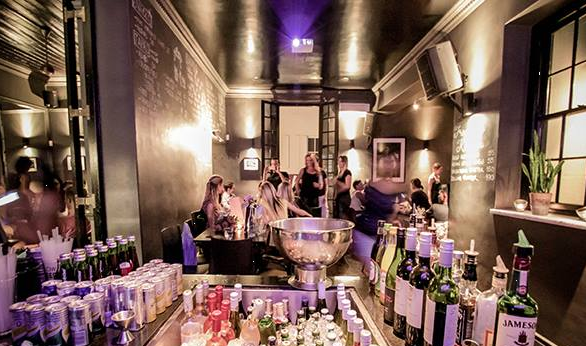 The Perfect Party Venue for Birthdays, Intimate Weddings, Office Parties or any other celebration. The Piano Bar can accommodate a maximum of 200 guests standing or 70 guests seated. 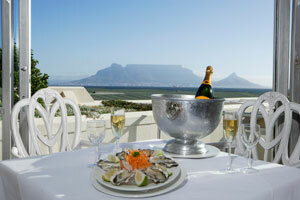 Wraparound terrace with picturesque views through De Waterkant village to the bay and the mountains. Cosy Bar Room for eating and drinking. With a baby Grand Piano, Microphone and instrumental plug-in points and surround sound through excellent speakers. The mixer is driven by Rotel amplifiers. Overhead projector and screen for presentations and movies. A thoroughly versatile room for great entertainment. Caters for the eatery as well as functions and events. Our innovative menu or delicious snack platters are available nightly. Jason Fula, a Cape Town born singer/songwriter brings you a mix of indie folk, blues and a dash of rocknroll. He plays original songs and occasionally throws the odd cover in there. Expect something raw, warm and heartfelt. This talented pianist is entertaining on his own or when backing the beautiful Diana Neille. 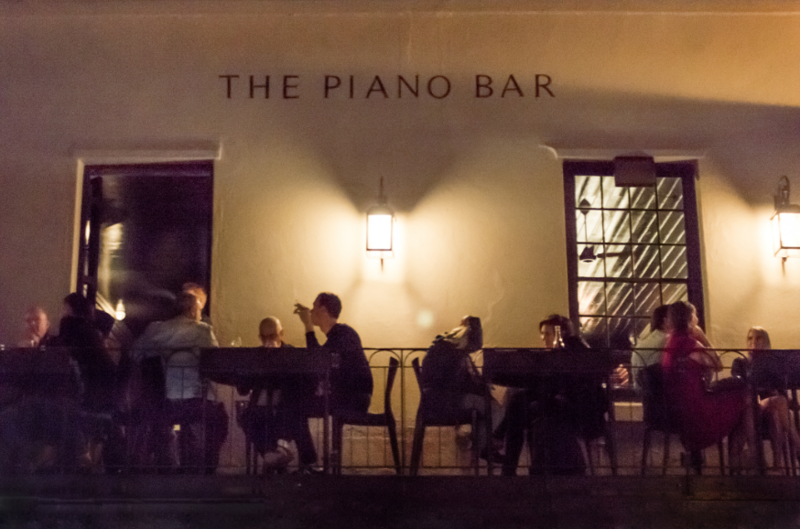 To experience a true piano bar ambience, enjoy an evening with him tinkling away at the ivories. Frederick passed the Unisa Grade 8 piano exams with honours, and was part of the Light Horse Band for two years. He was hell-bent on studying Music, but instead chose Psychology as his career path. Frederick completed his Masters degree in 1997 and is currently practicing psychology full time. However, the arts is a great therapeutic outlet (to himself and others). Dance, drama, writing stories and music continues to colour every day more beautifully. Frederick’s repertoire consists of light classical music, famous ballads and love songs. Francois Botha is pianist living and working in Cape Town, South Africa and is active in the classical, jazz and popular music scenes. While actively pursuing his career as a solo artist he is also an experienced accompanist and collaborator and has worked with some of the finest artists in the country. Francois has performed with the UCT Symphony orchestra twice as a soloist, conducted by Alexander Fokkens, and with the KZN Philharmonic Orchestra in their National Concerto Festival in 2010. In 2014 he accompanied Hlengiwe Mkhwanazi who performed at the State of the Nation address Banquet. A waiter at The Piano Bar with a passion for music currently studying Politics and International Relations at UCT. Voice-trained with the South African Youth Choir. An avid writer and composer of music of various genres and a fabulous flair for the keyboard. Andrei has been awarded the 2013 Piano Bar Bursary to enable him to further his studies. Catch him performing solo behind the baby grand or with fellow Piano Bar waiter and UCT music student, Ivana Merkel. Another waiter at The Piano Bar who is willing to entertain. Although a classical voice student at UCT, Ivana is not to be confined to only one genre. Listen to her voice soar as she croons jazz standards with the accompaniment of Andrei Damane or Garth Tavares, or hear her get the crowd going with her impromptu numbers with popular Saturday night band, Chasing Summers. The name says it all – exploring the globe and never seeing winters! Chasing Summers was born on a hot summers day in Cape Town when two dreamers vowed to chase their dreams. The core five-piece instrumental outfit started their journey on 9 March 2013 live at The Piano Bar. Every Saturday, the versatile band has plays across genres ranging from Jazz to House. Now featuring South African blues vocalist Claire Enslin, the band sets its sights at performing for the masses whilst never seeing winters – only Chasing Summers. Daniel has ten years of writing and performance experience, as well as a diploma majoring in guitar. His solo performances include events at Tanz Café and the legendary Radium Beer Hall, as well as corporate and private functions around Johannesburg. Daniel is able to structure an engaging and varied set for ANY audience. His lyrics reveal a deepness of thought and emotion that ebb and flow, to soothe and excite. His musical inspirations are instantly evident, but at the same time, highlight the genius of a unique and talented artist. His mastery enchants all. Jonathan Simons is a Capetonian rising star. The talented singer-songwriter recently completed his debut album at Kaleido-Media Records, under acclaimed producer Gabi Le Roux. Enjoy a unique blend of thought provoking lyrics with a guitar-led Afro-Folk backdrop. We audition and engage new talent all the time. If you would like to perform at The Piano Bar, give us a shout! Muddled fresh strawberries and fresh basil topped with basil infused Absolut Vodka, rose extract, fresh lime and lime concentrate. 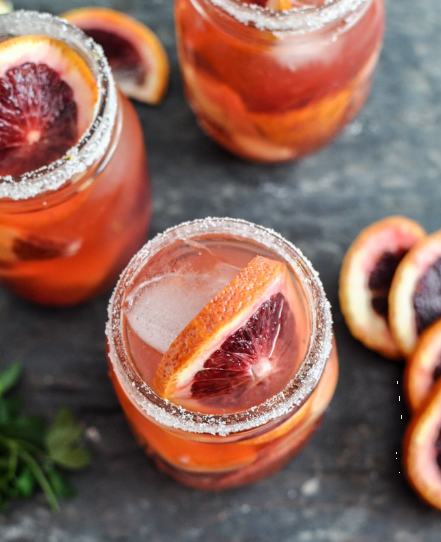 Aperol and sparkling wine, perfectly refreshing. Jasmine dragon phoenix pearl tea infused Absolut Vodka delicately mixed with blackberry extract,freshly squeezed lemon and pineapple juice. For the sweet tooth we recommend this blend of cinnamon and cardamon infused Absolut Vodka, baked ginger extract and half & half. Inspired by The Sun, The Sea, and Long Nights. Adobo – cubes of linefish tapas fried in a Spanish batter. Croquettes – choose between biltong, cheese or vegetable filling. Fried Calamari – drizzled with homemade Basil Mayonnaise. Homemade samosas – Choose between beef or vegetable. Beef Montadito – traditional Spanish tapas served with fiery mojo picon. Roasted Pepper Montadito – traditional Spanish tapas garnished with garlic and olives. Vegetable Carpaccio – with parmesan and fresh rocket. Cheese Selection – with seasonal fruits and preserves. Homemade baked cheesecake – served with vanilla ice cream. Crepe Suzette – served with vanilla ice cream. chocolate fondant – served with whipped cream and drizzled with honey. Catch of the Day – pan fried in extra virgin olive oil and lemon juice, drizzled with salsa verde and served with a side of your choice. Lamb Steak – served with poor man’s potatoes and garnished with mojo picon. Grilled Free Range Chicken – Chicken Breast grilled in a Balsamic Reduction and served with Cous Cous or a Side Salad. Sirloin Steak – served with a side of your choice. Piano Bar Salad – salad base with a protein of your choice: chicken strips, crumbed feta or boiled egg quarters. House Ground Beef Burger – burger patty drenched in our delicious basting and covered with grilled cheese, served with fried potato discs. Lamb and Biltong Burger – served with cheddar cheese, homemade red onion marmalade and chips or salad. Falafel Pita – with lettuce, red onion and feta. Chicken and Apple Slaw Salad – with table celery, cherry tomatoes and chopped parsley. Homemade Mushroom and Spinach Pizza – with tomato, olives and cheese – served with a rocket salad. Linefish – deep fried and herbed, served with chips or salad. Cape Town, South Africa – In a country famed for its meat-eaters and a city celebrated for its seafood cuisine, Adien Aggenbach has done the unconscionable – she’s opened a 100% vegan café in the heart of Cape Town, South Africa’s second biggest city. The much-anticipated opening of Plant will take place in February. The name, which is a both a verb and a noun, conjures up connotations of growth, green and goodness. Items on the menu are sourced with the well being of earth and the animals that walk it, in mind. Many of the ingredients have been hand-produced in their kitchen to ensure food free of preservatives and harsh ingredients – from the smooth dairy-free cream cheese on a bagel, to the dollops of eggless mayo and the tasty non-bacon strips on the scrumptious BLT, everything is 100% plant based and prepared without harming a single animal. On offer daily for breakfast and lunch is a delicious assortment of muffins, pies and salads, with gluten-free options to choose from for breakfast and lunch. There is also a meritorious medley of cold-pressed fruit juice and smoothies to titillate the taste buds. This is a bold move given the prevailing preference for consuming animal foodstuff in South Africa. Asked what she thought of a 100% vegan restaurant in Cape Town one local facetiously quipped that “it would be hard in an environment gripped in the thrall of a protein-fat feeding frenzy” but Adien believes she can make a difference. South Africans are very good at adapting to new concepts and Capetonians pride themselves on being eclectic. Perhaps this may be a new trend for a city renowned for its gastronomic variety and excellence. Nü (New) Health Food Café in Sea Point is now open and set to take healthy dining in Cape Town to a new level. Nü is more than good honest food – it’s about passion, sustainability and quality. The fusing of global trends with the finest locally sourced produce. Only the very best ingredients have made it onto the menu. Like free range chicken sourced from a farm in Elgin, coffee hand roasted by people committed to fair trade and sustainability, and artisanal bread baked in wood-fired hearth ovens in Woodstock. There’s fruit and vegetables that are fresh and locally sourced, and products that cater for various food intolerances like gluten, lactose and sugar. Food is well balanced, wholesome and delicious. There is less cooking, more raw, natural goodness and where possible, meals carry a low glycaemic load. With vegan, vegetarian, fish or wheat, dairy, gluten and sugar free options. 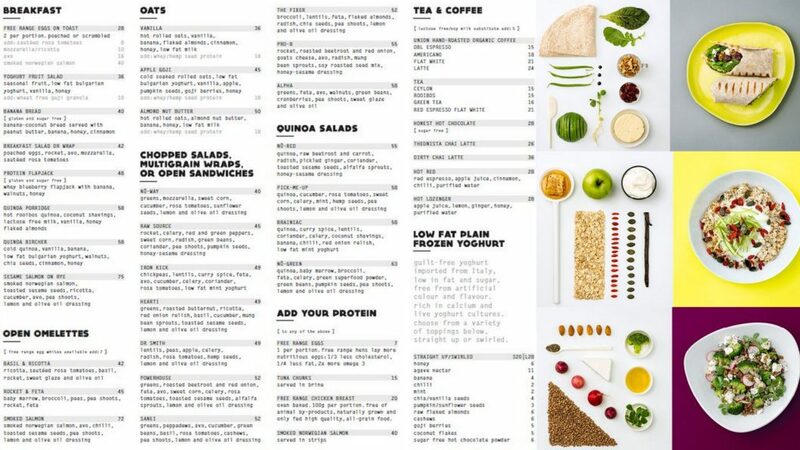 The menu offers a wide selection of early-morning bites, salads, multigrain wraps and open sandwiches, with a range of proteins to add to any meal. The delicious juices and smoothies include power blends, green blends, functional blends and super boosters to enhance the nutritional value of your meal. Expect innovative and delicious dishes like the Radiance Green Blend Juice made from apple, lemon, chilli and avo and the Nü-Red Quinoa Salad – quinoa, raw beetroot, carrot, radish, pickled ginger, coriander, toasted sesame seeds, alfalfa sprouts and honey-sesame dressing. Enjoy your meal in the comfortable and inviting interior. Their eat-in offering or self-service take-out is fast, fresh and full of nutrition. Nü stands for a Nü-life, Nü-body, Nü-mind and a Nü and better you! Experience the natural goodness and embrace the healthier you. Take a look, we think you’ll love what we have to offer! Chef Christopher Ditch is the Showcase winner! Chris has snapped up the title as Madame Zingara’s 2nd Annual Chefs Showcase winner. The competition was open to everyone in the kitchen, from sous chefs and grillers to executive chefs, the only criteria to enter was talent. From the ten initial entrants, only six made it to the finals and these top 6 chefs then each had a week in which to strut their stuff at The Sidewalk cafe. Chris was up against fierce competition; Heinrich Koen veteran chef of the Zingara group, Javier Birman the exotic Argentinian, the young and talented Matthew Delit, upcoming star Kholiswa Loze and a firm favourite from last year Warren Carney. Foodies at Sidewalk were charmed by Chris’s flavoursome menu which offered an array of choices, but the favourites were clear. Diners loved the traditional British black pudding breakfast, the gnocchi Romana and braised oxtail starter, French trimmed lamb racks and the decadent dessert-trio of banana fudge, caramelised banana and banana sponge with cinnamon ice cream. Don’t be upset if your mouth waters and you feel you missed out, because you haven’t! Madame Zingara has decided to take the best recipes from the 6 menus and adopt them into their restaurants. Judged on the creativity of their menu, food pairing, diner’s votes and food costs Chris scored a scorching 9/10. He walked away with not only the coveted title, but also the Grand Prize valued at R20 000. Judges and foodies all agree that despite only one chef walking away with the title, every chef was a winner. The amazing kitchen staff at Sidewalk are equally recognised for being key players in achieving smooth operations, as they excelled at the daunting task of working with a new chef and menu each week. 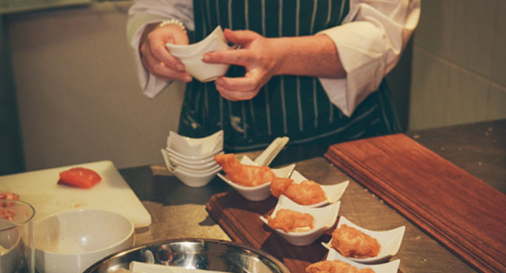 ‘The Second Annual Showcase success could not have happened without the great support from our kitchen staff, competitive chefs, local community and sponsors. It has once again been a resounding success’, says Richard Griffin, Managing Director of Madame Zingara. For bookings contact Sidewalk Café 021 461 2839 or visit www.sidewalk.co.za. For more information on the Chef’s Showcase or the Madame Zingara Group of Companies in Cape Town visit www.madamezingara.com. Disaster struck in 2006 and the restaurant was burnt to the ground, Unable to rebuilt what was lost, the Zingara family fought back and so the Theatre of Dreams was born – an enthralling travelling dinner cirque extravaganza housed in one of the last remaining antique mirror tents in the world. Enjoying full houses in Cape Town, Durban and Johannesburg, Madame Zingara transformed the concept of dining out in South Africa, earning many accolades and awards along the way. Being a Cape Town based company, it seemed only right to put down roots and the Zingara Group has lovingly restored and resurrected Cape Town landmark restaurants; The Sidewalk Café, Café Mozart, Café Paradiso, The Bombay Bicycle Club and Don Pedro’s and all his beautiful wives which are now all proudly part of the Zingara family. This much-loved neighbourhood café offers guests a relaxing beach-house feel and sweeping views from the stadium to the harbour and beyond. Bright and sunny by day and warm and intimate by night, The Sidewalk Café has a wonderfully diverse clientele and many loyal regulars. 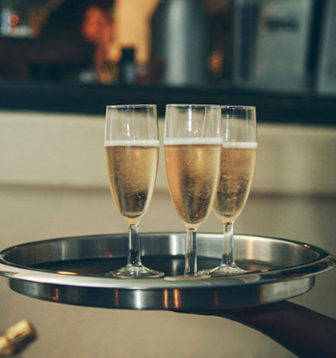 Perfect for lazy breakfasts, leisurely lunches, sundowners or romantic dinners, this charming venue is disarmingly casual with just a dollop of sophistication. Chris knew from the minute he left school that his passion was within the kitchen. Taking his first opportunity at The Kemp Brasserie in Brighton working as a dishwasher, his enthusiasm for food was recognised and he was given the chance to work his way up as a commis chef. After a year he moved onto Aldo Zilli in London, where he joined Heinrich Koen, and during this time Chris honed and developed his culinary skills. He has also had the opportunity to work with renowned chef Pierre Kaufmann at the Royal Opera House. Madame Zingara welcomed Chris to the family in 2010 after he left London in pursuit of his culinary dreams, and here he has achieved his goal working as a chef at Cafe Paradiso, in Kloof Street.